Have ants, termites, bees, bedbugs, mosquitos, or ticks set up shop somewhere on your property, or do you have mice, rats, bats, or squirrels living somewhere in your home or business? Instead of trying to deal with pest control in Upton, MA on your own, let the professionals from D&T Pest and Termite Control Inc. come in and get the job done. As the leading family owned and operated pest control company in the area, D&T Pest and Termite Control Inc. can perform services like mice treatment, termite control, ant control, bedbug treatment, bee removal, bat removal, squirrel removal, and more. Getting rid of a pest problem inside a home or business can be a huge challenge, especially if the problem has spiraled out of control. The specialists at the fully licensed and insured D&T Pest and Termite Control Inc. will use their experience and expertise to carry out pest control in Upton for you so your problem is eliminated once and for all. From conducting termite control in a crawlspace to doing squirrel removal in an attic, D&T Pest and Termite Control Inc. offers a wide range of useful pest control services. They’ll make your home or business safe again and eliminate the threat of damage being done to it. Founded more than 20 years ago, D&T Pest and Termite Control Inc. has become one of the most trusted names in pest control in Upton, MA. 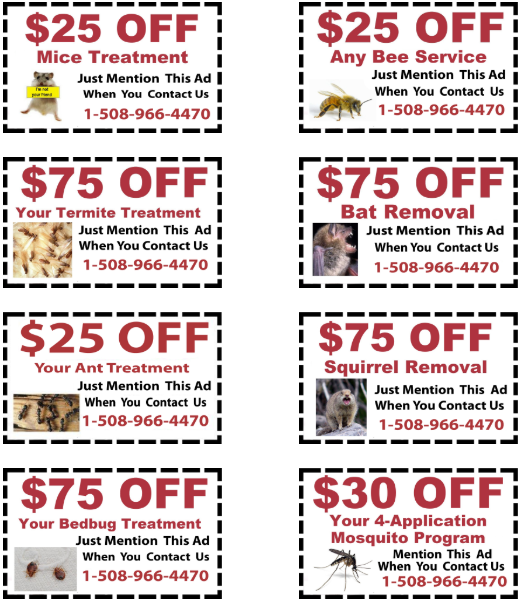 So many home and business owners have called on D&T Pest and Termite Control Inc. for mice treatment, ant control, bedbug treatment, bee removal, bat removal, and tick treatment over the last two decades. A specialist from D&T Pest and Termite Control Inc. can come to your home or business to find out how pests are getting in and stop them from coming back in the future. Reach out to D&T Pest and Termite Control Inc. at 508-966-4470 for pest control in Upton, MA.